Scotland. Day 3, 1st July. 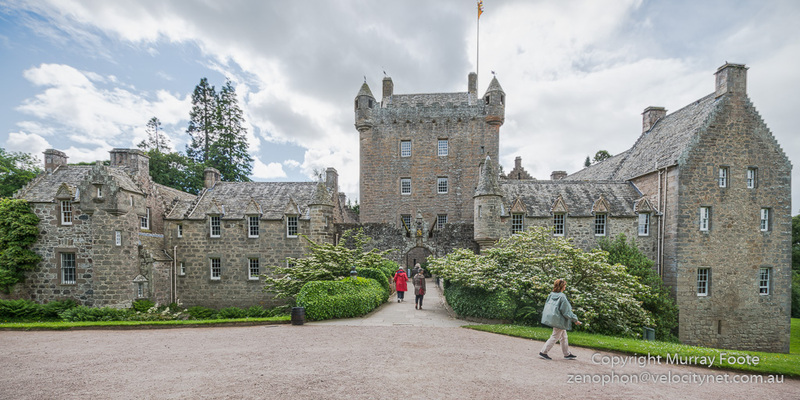 Not all the castles in Scotland are ruined and this is Cawdor Castle, located about fifteen kilometres east of Inverness. 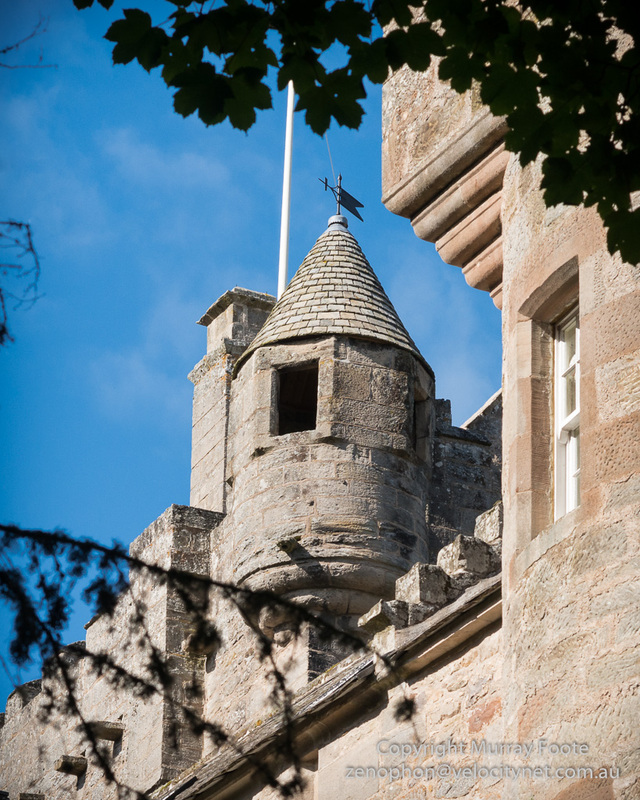 The castle was originally built in the fourteenth century though there have been extensive additions since then. 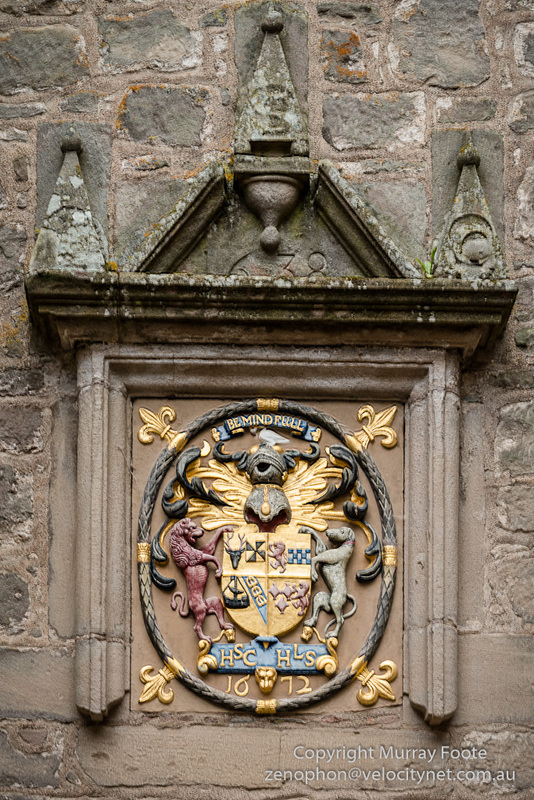 This crest above the main entrance dates from 1672 and includes the family motto “Be Mindful” as well as the initials of Sir Hugh Campbell and his wife Lady Henrietta Stewart. 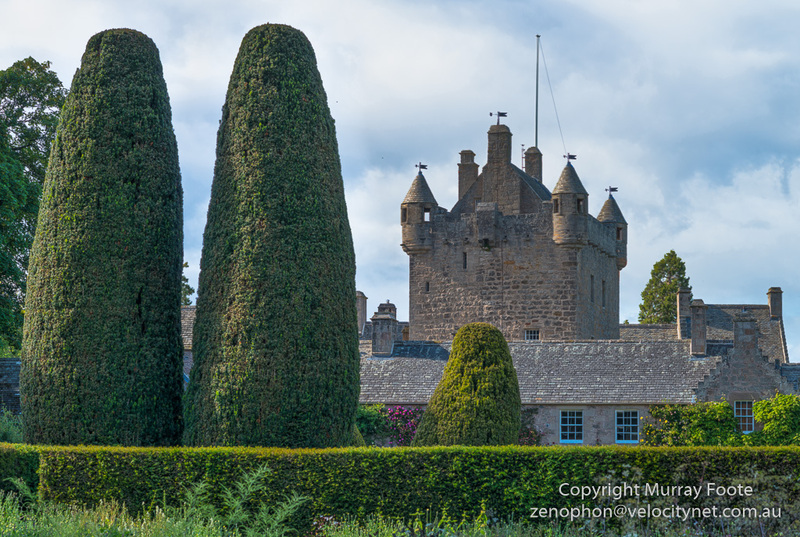 This is still a family home and the Countess of Cawdor lives here in grand style for six months of each year. 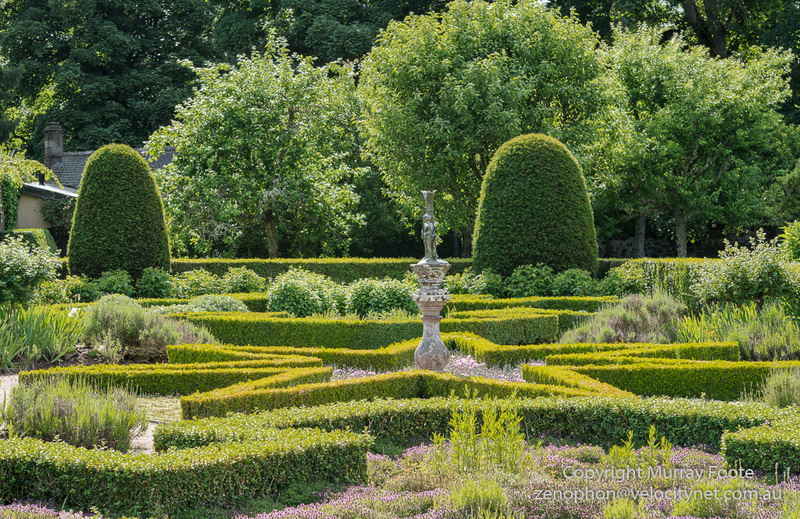 There are three gardens including the Walled Garden (originally planted in the 17th Century), the Flower Garden (18th century), and the Wild Garden (added in the 1960s). This is part of the Walled Garden. The Countess went to court in 2002 to expel her husband who moved in while she was away. 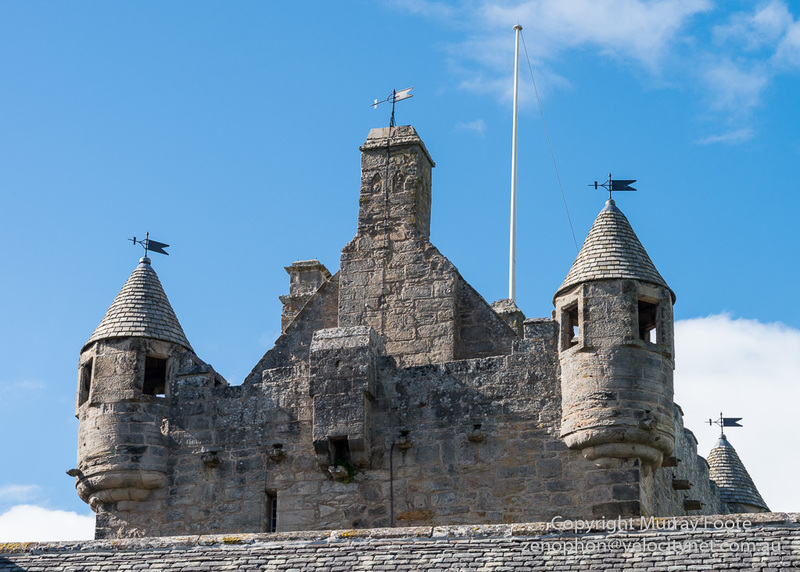 Macbeth in Shakespeare is the Thane of Cawdor and the castle has an association with those events for many. 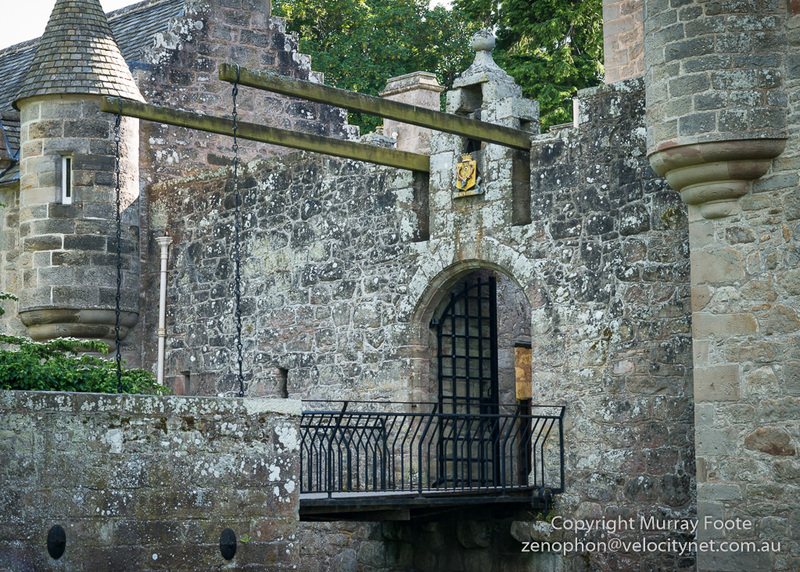 However, this is entirely spurious as the castle was built hundreds of years after MacBeth died. The inside of the castle was very impressive but photography was banned so I cannot show you anything from there. 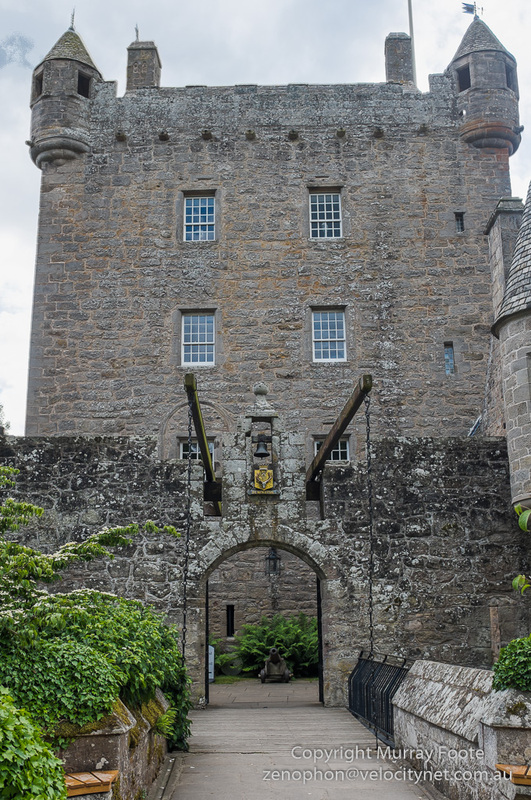 This entry was posted in Scotland and tagged Architecture, Castles, Cawdor Castle, History, Landscape, Photography, Scotland, Travel. I was surprised by the weather I encountered in Scotland – almost all the time warm and dry.